We’d love your help. Let us know what’s wrong with this preview of The Chilbury Ladies' Choir by Jennifer Ryan. To ask other readers questions about The Chilbury Ladies' Choir, please sign up. I've just finished the CLC...and I want to start all over and read it again. Please, Jennifer Ryan, give us a sequel. How did these characters and Chilbury fare during the war...who survived and who was lost? I can't wait to share this book with my book club. Jennifer Ryan Thank you so much for all your wonderful messages! I'm so thrilled you enjoyed all the characters as much as I did. Such a lovely, warm book to write.…moreThank you so much for all your wonderful messages! I'm so thrilled you enjoyed all the characters as much as I did. Such a lovely, warm book to write. I'm hoping to write a sequel soon, as it would be fantastic for me to step into the shoes of those fabulous ladies once again. Could you tell me who your favorite characters were? I'm keeping a tally, just for fun! Will there be a sequel? Please, a thousand times, please! Jennifer Ryan Thank you so much for your wonderful enthusiasm for those charming ladies! I really hope to write a sequel soon! Really excited to be getting back to…moreThank you so much for your wonderful enthusiasm for those charming ladies! I really hope to write a sequel soon! Really excited to be getting back to those warm and brave spirits! This is a hugely enjoyable novel delivered through the medium of letters and journals. It is a quintessentially British story set in Kent about a community of women contributing to the war effort, trying to survive and live life whilst the world as they know it is crumbling around them. Helping them to cope with the grief and loss is the Chilbury Ladies Choir set up by incomer Primrose, despite the opposition of Mrs B. who thinks its a scandal to have a choir without men. Women are having to ste This is a hugely enjoyable novel delivered through the medium of letters and journals. It is a quintessentially British story set in Kent about a community of women contributing to the war effort, trying to survive and live life whilst the world as they know it is crumbling around them. Helping them to cope with the grief and loss is the Chilbury Ladies Choir set up by incomer Primrose, despite the opposition of Mrs B. who thinks its a scandal to have a choir without men. Women are having to step in and do what men have done, they have no choice. The choir becomes important in providing a channel to keep their spirits up, channel emotional distress, provide support and personal development. With warmth, wit and humour, the author gives us a wide range of characters with all the petty resentments, falling in love, tragedies and intrigue that beset any community. Mrs Tilling is a midwife, who finds herself digging deep into her emotional reserves to support others, expands her world view as she comes to see the humanity in others even when their actions may not appear to deserve it. The lightweight and flirty Venetia comes to be a revelation as her personal circumstances become dire. New relationships are cemented through billeting as with Colonel Mallard. The emotional intensity of the young can be seen through the eyes of the young, such as thirteen year old Kitty. We get a glimpse of the class system where characters like the Brigadier and the Viscount find their established power being undermined. We see what is happening in Europe through Sylvie, a young Jewish evacuee. Edwina struggles to keep her unsavoury secrets and keep her ill gotten gains. All the action takes place where there is a real and tangible fear that Britain might come under Nazi rule. I became totally engaged with the characters and the pressures they are living under. I particularly loved Mrs Tilling and Prim, women who come to realise they have nothing to lose and can be exactly who they are and so becoming role models for others. In a sense, this is true to varying degrees for all the women. It is through the prism of loss that the women come to understand this and therefore learn to challenge traditional norms. This novel celebrates all that women did during the war and the role that music and the choir provide in inspiring, a route to express grief and providing succour. I think anyone who reads this will enjoy it. Highly recommended. Thanks to HarperCollins for an ARC. Charming, delightful, alternating with heartbreak and life's realities in a small English village during WWII. With very few men left in the village, the women in the village decide it is their duty to keep things going, maintain normality as much as possible and this includes restarting the disbanded choir, with women only members. I love reading books that are written as letters, journal entries, articles etc. I honestly don't think I would have had such a positive reaction to this book of done Charming, delightful, alternating with heartbreak and life's realities in a small English village during WWII. With very few men left in the village, the women in the village decide it is their duty to keep things going, maintain normality as much as possible and this includes restarting the disbanded choir, with women only members. "The Chilbury Ladies' Choir" is an epistolary novel providing a snapshot of the experiences of a group of mostly women during World War II over the time period from March-September 1940. Able bodied men have joined the war effort and the Vicar has decided to disband the choir saying that only a mixed chorus will do! Enter Primrose Trent, music professor. Prim restructures the choral music for women's voices only, the Vicar concedes defeat, and The Chilbury Ladies' Choir is born. Music is the sal "The Chilbury Ladies' Choir" is an epistolary novel providing a snapshot of the experiences of a group of mostly women during World War II over the time period from March-September 1940. Able bodied men have joined the war effort and the Vicar has decided to disband the choir saying that only a mixed chorus will do! Enter Primrose Trent, music professor. Prim restructures the choral music for women's voices only, the Vicar concedes defeat, and The Chilbury Ladies' Choir is born. Music is the salve that helps the town cope with loss of friends,spouses and the pain of unrequited love. Through the use of journal entries, letters, and occasional notices, the lives of several residents are highlighted. Mrs. Tilling, a nurse with a quiet demeanor, finds her true voice while the misdeeds of unethical midwife Edwina Paltry play out. The antics of Venetia, a self absorbed older sister and those of awkward thirteen year old Kitty, a budding singer, are vividly portrayed as they share their thoughts and dreams through the written word. Mrs. B. a control freak and gossip, testy to all, will have to cooperate with the ladies since The Chilbury Ladies' Choir is determined to enter a choral competition. The choir provides a support system for these women. They raise their voices in mournful prayer, when needed, but sing of hope and recovery. Stylistic use of documents and letters provides excellent character studies of the residents in this town near Dover. We view the growth of Mrs. Tilling and Venetia as well as the demise of Edwina Paltry. We applaud their successes and are tearful for their losses. 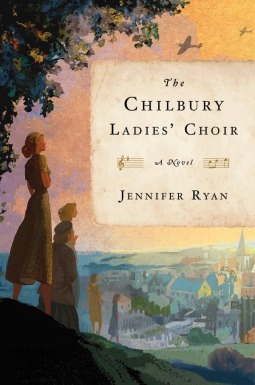 "The Chilbury Ladies' Choir" by Jennifer Ryan was a most enjoyable read. How could you not like a book that uses the word 'higgledy-piggledy' in it....multiple times. The Chilbury Ladies Choir is quite the fascinating read. A different take on WW2 and how people survive during this time. Don't get me wrong, any book on WW2 and the horrors is difficult to read. But this one, I found both sad and fascinating, heartbreaking and funny. The story is told over a series of letters, newspaper articles, and journal entries and switches back and forth between these and various How could you not like a book that uses the word 'higgledy-piggledy' in it....multiple times. The Chilbury Ladies Choir is quite the fascinating read. A different take on WW2 and how people survive during this time. Don't get me wrong, any book on WW2 and the horrors is difficult to read. But this one, I found both sad and fascinating, heartbreaking and funny. The story is told over a series of letters, newspaper articles, and journal entries and switches back and forth between these and various characters. You learn of the various people in the town of Chillbury. There is the wicked Edwina Paltry and the story of how low one person can sink. Or the saucy tart Victoria Winthrop, who changes, even grows-up during the war. Or bossy Mrs. B and her know-it-all attitude. Then there is the war, the bombings, the lives lost and during this time, the folks of Chillbury. Most of the men have gone off to war and it's up to the ladies in town to stand up and prove that they CAN do it. Such as to start an all female choir, enter a singing competition, become pall bearers, and show how brave they are. ...It was the funeral of Edmund Winthrop, the Brigadier’s despicable son who was blown up in a submarine last wee First funeral of the war, and our little village choir simply couldn’t sing in tune. “Holy, holy, holy” limped out as if we were a crump of warbling sparrows. But it wasn’t because of the war, or the young scoundrel Edmund Winthrop torpedoed in his submarine, or even the Vicar’s abysmal conducting. No, it was because this was the final performance of the Chilbury Choir. Our swan song. ...It was the funeral of Edmund Winthrop, the Brigadier’s despicable son who was blown up in a submarine last week. Only twenty he was—one minute a repulsive reptile, the next a feast for the fishes. ...Beside her, that foreign evacuee girl looked petrified, like she’d seen death before and a lot more besides. And so begins a novel, with Miss Edwina Paltry's letter to her sister (quite a fitting surname given the different meanings: small, meagre, trifling, insignificant, negligible, inadequate, insufficient, scant, scanty, derisory, pitiful, pitiable, pathetic, miserable, sorry, wretched, puny, trivial, niggardly, beggarly, mean, ungenerous, inappreciable, mere). The fictional tale and characters are based on the real diaries and journals which were written during the first year of WWII in Britain for an organization called Mass Observation. They published a newsletter in which the hearts, minds and souls of the ordinary citizens were shared. The epistolary character of the novel is the result of the author's commemoration of these writers, and the stories her grandmother shared about the war. Four main narrators share through their diaries and letters the funny, racy, touching or terrifying events in Chilbury during 1940, leaving the reader in the midst of a richly textured novel populated by the citizens of the fictional village of Chilbury. Brace yourself, Clara, for we are about to be rich! I’ve been offered the most unscrupulous deal you’ll ever believe! I knew this ruddy war would turn up some gems—whoever would have thought that midwifery could be so lucrative! But I couldn’t have imagined such a grubby nugget of a deal coming from snooty Brigadier Winthrop, the upper-class tyrant who thinks he owns this prissy little village. I know you’ll say it’s immoral, even by my standards, but I need to get away from being a cooped-up, put-down midwife. I need to get back to the old house where I can live my own life and be free. Mark these words: her little scheme would have her flustered like a bluebottle in a jam jar in the end. Kitty Winthrop - in her diary - thirteen years old: she saw people as beams of a rainbow, and her eighteen-year-old sister, Venitia, as simply a vile beast. I like to see people as colors, a kind of aura or halo surrounding them, shading their outsides with the various flavors of their insides. Henry is a deep azure blue, to match his eyes. Silvie - in her diary - the much younger Jewish evacuee from Czechoslovakia with her terrible secret. Venitia Winthrop - in her letters to the vicar's daughter, Angela Quail. Mrs. Tilling - in her journal - a nurse and the local billeting agent. Two male voices appeared in their own letters as well. Flt. Lt. Henry Brampton-Boyd - the most sought-after bachelor in the village. He had many a nasty nail out on dainty little ladies' fingers and a lot to answer for. Even Elsie the parlour maid got her head around something. Colonel Mallard - in his letters to his sister Mrs. Maud Green. He arrived as curmudgeon old Mr. Bear, and left as snuggly Mr. Toodles, well .... sort of. Life would drastically change for him in Chilbury, that's for sure. Miss Primrose Trent from London moved into Chilbury to become the Professor of Music at the Lichtfield University. She revived the choir, now deprived of all the men who went off to war. The Vicar Quail was convinced that all the oxygen and raison d'etre left town with the men. The women would prove him wrong. The choir gave women their voices. The voices they thought they never had. And therein lies the charm of this story of courage, endurance, resilience and hope. The peripheral characters brought much more color to Kitty's rainbow. They read like the Chilbury telephone directory, but what a wonderful, unbelievable, atmospheric tale they all brought alive. I'm not going into the plot or storyline. It is for the readers to discover and enjoy through the picturesque prose. GREAT READ!!! Just absolutely BEAUTIFUL! I was a bit disappointed in this book. I looked forward to reading a WWII novel set in a English Village, an epistolary novel written from the viewpoint of the women left behind when the men went off to war. Let me say right off that it was a very good story with some intrigue, some mystery, and an unusual plot. What bothered me was that the letters and journals seemed a bit contrived. I've never yet seen a journal that quotes entire conversations verbatim, with quotation marks. Most of the journ I was a bit disappointed in this book. I looked forward to reading a WWII novel set in a English Village, an epistolary novel written from the viewpoint of the women left behind when the men went off to war. Let me say right off that it was a very good story with some intrigue, some mystery, and an unusual plot. What bothered me was that the letters and journals seemed a bit contrived. I've never yet seen a journal that quotes entire conversations verbatim, with quotation marks. Most of the journal entries were written as straight narrative, which may have been a better way to connect the events. The characters all seemed wooden and one-dimentional to me, more like characatures than anything else. As a result, I could never feel close to any of them, with the exception of Sylvie, the 10 year old Czechoslovakia refugee. She didn't really fit into any mold, and came across as a real person. The ending was a bit contrived as well, wrapping everything up very neatly with happy ever after for all. Read this book over a couple of months because I didn't want it to end. Such detail, such heart, and some excellent village intrigue and cabal, all set agains the backdrop of World War II. One of my favorite adult books of recent memory. Jennifer Ryan is going to be an auto-buy for me from now on. Reminding me of The Guernsey Literary and Potato Peel Society, this book is written as a series of letters, journal or diary entries. As opposed to a single writer, here we have a variety of writers of all ages and stripes. Starting at the beginning of WWII, the village is dealing with the absence of most of its men. The vicar disbands the choir as it lacks the necessary tenors and basses. But here comes a new music instructor to the nearby University and she forms The Chilbury Ladies’ Choir. “I Reminding me of The Guernsey Literary and Potato Peel Society, this book is written as a series of letters, journal or diary entries. As opposed to a single writer, here we have a variety of writers of all ages and stripes. Starting at the beginning of WWII, the village is dealing with the absence of most of its men. The vicar disbands the choir as it lacks the necessary tenors and basses. But here comes a new music instructor to the nearby University and she forms The Chilbury Ladies’ Choir. “It is time for us women to do what we can as a group to support each other and keep our spirits up.” As someone who has sung for years in a choir, it's a true sentiment. There is something uplifting about making music with others. In fact, she is spot on about all things involved in singing- that moment before coming in on a note when singing a capella, the fear of the solo or the community from singing together. Ryan does a great job of fleshing out each character. And there are some real characters here. Kitty’s writing does seem very grownup for a thirteen year old but that's a minor quibble especially because Ryan does capture the girl’s crush on Henry perfectly. This novel manages to blend humor, warmth, sorrow and depth all within its pages. The book is based on her grandmother’s stories of a choir she sung in during WWII and the freedoms women had because of the war. For those who enjoyed The Summer Before the War or the tv series Land Girls or Home Fires, I would recommend this novel. A full five stars! My thanks to netgalley and Crown Publishing Group for an advance copy of this book. As all our male voices have gone to war, the village choir is to close following Cmdr. Edmund Winthrop’s funeral next Tuesday. The Chilbury Ladies’ Choir, told through letters and journals, and “lists” of things, is a story set in a small village in England, as WWII ravaged the landscape, lives and changed an entire generation, and those that followed. A town with a few people trying to find ways to do what they can to improve life for their small corner of the world, whose enthusiasm is infectious and, to begin with, while their men are away fighting the war, decide to start an all-female choir – The Chilbury Ladies’ Choir. You wouldn’t think this would create such division, as though it were scandalous behavior. There’s plenty of charm, and also plenty of reminders that there is a war going on. War is always present, in little reminders, in one of the characters thoughts or another’s actions. that will be left when they’re gone. speed at which they turn to look. There’s so much about this that makes it clear that it’s a story from another time, another place, and I loved that the things that characterized the time and place seemed so naturally to belong then and there. There’s much about the haves vs the have-nots in this, as one wanders through these lives in this village, there are those who do not want, and there are those who know little else but want and need. War is hell, as the saying goes, places and people are damaged, destroyed, annihilated. So much devastation all around. One thing that brings light to these people are these women who have the courage to do things previously unheard of for women. Sing, yes, in an all-women choir, but it goes beyond that with so many men gone, the women have had to keep their town, their country running. And they learn a lot along the way about themselves. And as more courage is found, and more women are enjoying contributing their time and efforts, there’s another light growing stronger, bringing to light some deep, dark secrets, as well. "Music takes us out of ourselves, away from our worries and tragedies, helps us look into a different world, a bigger picture." So many of my friends loved this, and they wrote wonderful, very convincing reviews. I added this a while back, what seems like long ago, and have been waiting for my turn to read it since then! So glad I finally had a chance to read it, and so grateful to my goodreads friends, and goodreads for this forum to help determine which books to read. This book had a little bit of everything I look for in a story. Beautiful writing, multi-dimensional characters, a wonderfully illustrated setting, and a dose of rich history. The story of the formation of the Chilbury Ladies' Choir during the spring and summer of 1940, is told through the voices of four very different women. I love a book told through multiple POVs, and in this case it was done perfectly. All characters' voices are developed to give a deep and rounded picture of who the woman is, and considering that this book is a normal length, that is quite a feat by the Jennifer Ryan. Possibly my favorite part of this book was the way the author painted a picture of community in this small English village during the war. There is something so touching about neighbors, broken families, friends and even foes banding together in times that are so our of the ordinary. That being said, this book isn't cheesy or overly sappy. There can never be a completely happy ending in a book that deals with the Second World War (or any for that matter) but there is still a strong sense of hope that runs through the whole story, and for that and all the other above mentioned attributes, I think I can already say, even though it is only January, this will be one of my favorite books this year. If you enjoyed books like The Guernsey Literary and Potato Peel Pie Society or Letters from Skye, I think you will love this as much as I did. I won my copy of The Chilbury Ladies' Choir in a Goodreads giveaway, and have written what I think is a fair and fitting review. Thank you! The Chilbury Ladies’ Choir is an endearing, uplifting and refreshing story about five members of The Chilbury Ladies’ Choir who are left behind as the men go off to fight in the war. It's a story of grief, deception, struggles, romance and hope as the threats from the Nazi’s reaches their village and shattering lives. Through journals and letters we see how the women grow and change, forge a bond and draw strength from togetherness. Even though I found there to be some dramatic plot l 3.5 stars. Even though I found there to be some dramatic plot lines, it worked for me as it added some mystery and romance to the story and I couldn't help but love the ladies of the chilbury choir and their stories. Prim was right. It's not about winning. It's about finding humanity in the face of this war. It's about finding hope when everything around us is collapsing. This was a great WWII centric book that takes place in an English village in 1940. The entire novel is a collection of letters, journals, diaries, and telegrams written by a number of women in the community. Jennifer Ryan writes a compelling story about a group of women who join together and sing their hearts out to uplift their community Prim was right. It's not about winning. It's about finding humanity in the face of this war. It's about finding hope when everything around us is collapsing. This was a great WWII centric book that takes place in an English village in 1940. The entire novel is a collection of letters, journals, diaries, and telegrams written by a number of women in the community. Jennifer Ryan writes a compelling story about a group of women who join together and sing their hearts out to uplift their community as they wait for those fighting to return. Music takes us out of ourselves, away from our worries and tragedies, helps us look into a different world, a bigger picture. All those cadences and beautiful chord changes, every one of them makes you feel a different splendor of life. After the vicar announces that there will be no more choir, the new music teacher in town, Prim, decides to take on the job of choirmistress. Her piano student, thirteen year old Kitty Winthrop serves as the naive but very curious character watching all the comings and goings of the local townspeople. Of course, her biggest target is her older and very vain sister, Venetia. In Kitty's eyes, Ventia is trying to steal her man right from under her. Venetia on the other hand, has no interest in her local boy suitors, especially when a mysterious artist takes up residence. Of course, Kitty and Venetia's father, the Brigadier, has his own set of issues. His wife is expecting and the war took his only heir. He will do ANYTHING to get what he wants. Including making a deal with the devil- in this case, the cunning Miss Edwina Paltry, Chilbury's midwife. Finally, my favourite Mrs. Tilling, the local nurse who has sent her only son off to war and is quite jarred when a local Colonel( who I did adore too) is set to lodge in her home. Nothing gets by this character and she is both a comfort to some characters and a pest to others. Most of my favorite quotes come from her journal excerpts. In addition, the author has included information about the inspiration behind the novel, some wartime recipes, and a detailed map plan of the community of Chilbury. Just an all around great novel to relax with! Perhaps there is something good that has come from this war: everything has been turned around, all the unfairness made grimly plain. It has given us everyday women a voice-- dared us to stand up for ourselves, and to stand up for others. The ladies of Chilbury, England are not going to let the devastation of war hold them back, as most of the men in their small village have gone off to fight and the women are now are left to support each other. The first thing they establish is The Chilbury Ladies' Choir, as they realize the power of music will not only help them get through the war, but help build a sense of community with the other townspeople. This is an endearing story that is filled with friendship and camaraderie as the women lose loved ones and face hardship, but use their choir time and music as a way to work through their pain and loneliness. However, this is not your typical war novel as Jennifer Ryan uses letters and journal entries to show how scandalous secrets are being kept and how romance has found its way into the village. The characters are well developed and you will even find yourself laughing out loud at times, but then you also feel their sadness as the war descends upon their little town. This book is somewhat of a lighter twist on World War ll fiction, but that doesn't lessen the enjoyment of this engaging story. This was a great debut and getting to know the ladies of Chilbury was time worth spent. This was a lovely story about so much more than the ladies' Choir in Chilbury, England. It is set in 1940, from spring to fall. The lives of the women of this choir are told through letters and diaries. It is a village in the southeast of England dealing with war--bombs, rationing, men gone off to war, etc. a precocious 12 year old This was a lovely story about so much more than the ladies' Choir in Chilbury, England. It is set in 1940, from spring to fall. The lives of the women of this choir are told through letters and diaries. All interact so well that I read this book in 3 days, reading the last 200 pages in one day. Funeral service "At the front, the Winthrops and their aristocrat friends were sitting all plumed and groomed like a row of black swans." Kitty, precocious 12 years old girl's diary "I like to see people as colors, a kind of aura or halo surrounding them, shading their outsides with the various flavors of their insides." On starting a ladies only choir because all the men are gone "What will God think? one of the Sewing ladies piped up. He couldn't have intended women to sing on their own." I rate it 4.5 out of 5 stars(rounded up to 5). The writing itself is bloated and full of similes that just bog it down: a morning is 'as wet as a slap round the face with a fresh-caught cod', mourners are 'sitting all plumped up and groomed like a row of black swans', and someone describes themselves as 'flustered as a bluebottle in a jam jar'. There is a kind of cosy warmth about it all, to be fair, with some nice touches (Dunkirk happening in the background, for example) but overall this feels like a BBC Sunday teatime serial that needs some charismatic actors to bring the whole thing to rather cheesy life. Not for me, I'm afraid. A novel that unfolds via letters and journals? Yess!! I am a sucker for this type of book so snatched it up. And what a fabulous book it was. Jennifer Ryan’s “The Chillbury’s Ladies Choir” sits right up there with my other favorites written in this style. The letters and diaries truly felt authentic. This story begins in an English village in the early days of World War II after the men of A novel that unfolds via letters and journals? Yess!! I am a sucker for this type of book so snatched it up. And what a fabulous book it was. Jennifer Ryan’s “The Chillbury’s Ladies Choir” sits right up there with my other favorites written in this style. The letters and diaries truly felt authentic. This story begins in an English village in the early days of World War II after the men of Chilbury have left to support the war effort and a village ‘ladies only’ choir is born. Chapters cover the next 6-months and alternate mostly via four distinctive female perspectives. Oh how I loved each of these characters and being privy to the more ‘scandalous’ events and domestic drama unrolling via their diaries and letters. The tone of the book is upbeat but there are plenty of sobering moments as the war disrupts and impacts their lives. I was totally in love with this audiobook book. It is a debut novel by Jennifer Ryan - I can only say it was enthralling. Set in southern England in a small village in 1940, it examines the life of the people as they start to face the reality of most of the men gone to war. Up until now there has been a choir, but now with the men gone the vicar has cancelled the choir. But... soon the women are rallying around Prim the choir mistress and they are setting up their own group. The story is told by I was totally in love with this audiobook book. It is a debut novel by Jennifer Ryan - I can only say it was enthralling. Set in southern England in a small village in 1940, it examines the life of the people as they start to face the reality of most of the men gone to war. The story is told by four or five characters through letters and journals. However it is seamless and actually doesn't feel like letters and diaries. Rather the story told from different points of view. That's where the narrators come in, they do an amazing and outstanding work of bringing this book to life. By itself its a great story, with the narration absolutely brilliant. I see on Jennifer Ryan's website that the book has had the TV rights optioned by the makers of the makers of Downton Abbey. I sure have my fingers crossed that this will go ahead. The Chilbury Ladies Choir sang their hearts out!! It was a song of joy, strength , and resilience as they bonded together in a steadfast Home Front!! The story takes place in the English village of Chilbury, in 1940. The Vicar declared that the choir be disband because the men were off to war. The Ladies of the choir rebelled and formed their own choir~The Chilbury Ladies "Music takes us out of ourselves, away from our worries and tragedies, helps us look into a different world, a bigger picture." The story takes place in the English village of Chilbury, in 1940. The Vicar declared that the choir be disband because the men were off to war. The Ladies of the choir rebelled and formed their own choir~The Chilbury Ladies' Choir. Their story is told through letters, diary, and journal entries. Their voices were a mix of personalities with their individual strengths and weaknesses. Mrs Tilling, a timid widow and nurse; Edwina Paltry, a conniving midwife; Venitia, a self-centered flirt; Kitty, her younger sister who loved to sing; and Silvie, a Jewish refugee. This delightful story is full of intrigue, romance, war, blackmail, and plenty of action to keep you enticed! It was wonderful to see the way the ladies came together to help each other and the town. They found strength in themselves, and hope, support, and joy from each other! The choice of music the choir sings is very inspiring, and it was as if I could hear the beautiful music and feel the JOY of it!! The author did a wonderful job of bringing the character's personalities to life! They were very interesting and well-drawn. These amazing women tell the story of what it must have been like to live through this time of war. I loved this story! It was one of HOPE!! The Chilbury Ladies’ Choir: A Novel is a light-hearted WW2 story that recounts the resilience of the people in the Kentish village of Chilbury over six months in 1940. The novel, which takes the form of letters, posters, notes, diary and journal entries, documents the fortitude and strength of the women folk who stand up to be counted when all the able bodied men have gone to war. It is funny (except it is not) to hear of the women perfecting the three-tier-cake stand lunge (“Point, lunge, thrus The Chilbury Ladies’ Choir: A Novel is a light-hearted WW2 story that recounts the resilience of the people in the Kentish village of Chilbury over six months in 1940. The novel, which takes the form of letters, posters, notes, diary and journal entries, documents the fortitude and strength of the women folk who stand up to be counted when all the able bodied men have gone to war. It is funny (except it is not) to hear of the women perfecting the three-tier-cake stand lunge (“Point, lunge, thrust.”)! What lends this story its charm is the role music plays in Chilbury during the oppressive days when there are no lights after dark, no food and no new clothes, and no hope perhaps of ever seeing a beloved husband, son or boyfriend who has left for war. Stories about WW2 typically weigh heavily on our hearts but Ryan has chosen to tell a different story. This novel is livened by intrigues surrounding the avaricious and powerful men (Brigadier Winthrop), sluttish female protagonists (Venetia Winthrop) bent to ensnare and deceive adoring admirers, sibling rivalry and hatred (Kitty and Venetia Winthrop), conniving midwives (Mrs. Edwina Paltry), weak-kneed men (Alastair Slater, Henry Brampton-Boyd), late-life romance and love (Colonel Mallard and Mrs. Tilling). There is a flippancy that is quite enticing and keeps one turning pages, knowing full well that evil will succeed but only for a while. I have enjoyed this novel more than I think I would and am glad for it. However, I did wonder at the structure of the novel since the letters and journal and diary entries do not seem distinctly different in their presentation of a character’s reports of events. They are first-person accounts and often carry actual dialogues, which seem quite odd. The novel could have adopted an alternating narrative structure and still allow the key characters (Mrs. Tilling, Mrs. Edwina Paltry, Kitty Winthrop, Edwina Winthrop, Silvie) to tell their story. I also thought the characterization somewhat wanting. Mrs. B (the bossy spoil-sport), Mrs. 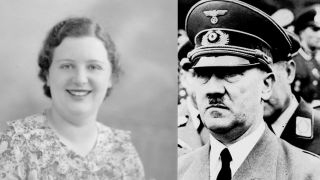 Paltry (the evil opportunist) and Mrs. Tilling (hailed ‘the deplorable do-gooder) are pretty much one-dimensional. The change in Venetia Winthrop, the vixen, I find, totally unconvincing. This is a lovely, warm, often humorous story about a small village in England and the social changes it undergoes during WW2. Chilbury in Kent is largely made up of women now that the men have gone off to war and the story is largely brought to life through the means of journal entries and letters written by the women. When the vicar disbands the church choir because there are no male voices left, a newcomer, Miss Primrose Trent (Prim) announces that she will start up a choir just for women to h This is a lovely, warm, often humorous story about a small village in England and the social changes it undergoes during WW2. Chilbury in Kent is largely made up of women now that the men have gone off to war and the story is largely brought to life through the means of journal entries and letters written by the women. When the vicar disbands the church choir because there are no male voices left, a newcomer, Miss Primrose Trent (Prim) announces that she will start up a choir just for women to help keep their spirits up and so the Chilbury Ladies Choir is born. I love the way the characters evolve as the war goes on. They are beautifully written with love and affection. Not all are pleasant and some have nasty secrets. Mrs Tilling, a WWI widow whose son is off fighting, is the local nurse and the one who changes most, transforming from a shy, mousy woman who always defers to others to a confident woman in charge of her own life and prepared to speak up for others. Along with Mrs Tilling, the two sisters, 18 year old Venitia and 13 year old Kitty tell much of the narrative. Venetia about the artist in the village and her attempts to ensnare him and Kitty about her singing lessons with Prim, the choir, the doings of her beastly sister Venetia and her adventures in the woods and fields with their Czech evacuee, 11 year old Sylvie. What a fabulous book! World War 2 historical fiction is one of my favorite genres, and Jennifer Ryan writes a beautiful story with a very entertaining cast of characters. Chilbury is a small town in England close to the coast on the eastern side. As the story opens in 1941, most of the men have been called up to fight causing the vicar of the local church to disband the choir until after the war. A group of women, lead by a spirited newcomer, rebel against the vicar’s wishes and create The Chilbury Ladies’ Choir. The effect of the choir on Chilbury and several neighboring towns is immense, and I laughed out loud and cried many times. Jennifer Ryan tells the story in a series of journal entries and letters reminiscent of The Guernsey Literary and Potato Peel Pie Society, and that method is very effective in this novel. The only thing I would change would be to have one or two of the letter recipients write back. I wanted to know a little about them too. The Chilbury Ladies’ Choir contains so many lovely sentiments and statements about both the war and life generally. I found myself highlighting many of them as I read on my Kindle so I could back and reread them. My only other comment is about the cover. I definitely choose books by their covers (at least that is what usually catches my eye), and I do not feel like this cover accurately depicts the book – it is very old-fashioned looking. Had I not read the summary and learned it was about World War 2, I would not have chosen to read this book. I highly recommend this book. Thanks to Crown Publishing and NetGalley for the chance to read this ARC in exchange for an honest review. I was expecting more from this book, but it turned out to be conventional women's fiction with gossip, jealousy and unwanted pregnancy set during WWII. Since the story was told in the form of letters and journal entries, it was a little disjointed. Also, this stylistic convention wasn't convincingly done. I don't think people usually include full conversations in their correspondence and journals. I didn't hate it, but it was a very slight story. I received a free copy of the ebook from the publi I was expecting more from this book, but it turned out to be conventional women's fiction with gossip, jealousy and unwanted pregnancy set during WWII. Since the story was told in the form of letters and journal entries, it was a little disjointed. Also, this stylistic convention wasn't convincingly done. I don't think people usually include full conversations in their correspondence and journals. I didn't hate it, but it was a very slight story. Thank you to NetGalley, Jennifer Ryan and Crown Publishing Group for providing me with a copy of this publication, and allowing me to provide you with an unbiased review. "As all our male voices have gone to war, the village choir is to close following Cmdr. Edmund Winthrop's funeral next Tuesday. Through notices, letters and journal and diary entries, THE CHILBURY LADIES' CHOIR unfolds the s Thank you to NetGalley, Jennifer Ryan and Crown Publishing Group for providing me with a copy of this publication, and allowing me to provide you with an unbiased review. Through notices, letters and journal and diary entries, THE CHILBURY LADIES' CHOIR unfolds the struggles, affairs, deceptions, and triumphs of a village choir during World War II. Jennifer Ryan writes beautifully, painting detailed pictures of the settings and characters with her language and choice of words. I became immersed and entwined in the lives of the people in this novel. As England becomes enmeshed in the early days of World War II and the men are away fighting, the women of Chilbury village defy the vicar and form The Chilbury Ladies' Choir. This story tells the home front struggles of five unforgettable choir members: Mrs. Tilling, a timid widow who is devastated when David, her only son, goes away to fight; Edwina Paltry, a bossy conniving midwife trying to outrun her seedy past; Kitty Winthrop, thirteen-year-old with a crush on an older boy; Venetia, her beautiful older sister who is drawn to a mysterious artist; and Silvie, a Jewish refugee from Czechoslovakia hiding a family secret. Thanks to the library I had the great pleasure of listening to a borrowed unabridged audio version of THE CHILBURY LADIES' CHOIR authored by Jennifer Ryan and spectacularly read by Gabrielle Glaister, Laura Kirman, Imogen Wilde, Adjoa Andoh, Tom Clegg and Mike Grady. It included classical music sung by women's choirs, including Abide With Me and All Creatures, Ave Maria, and The Lord's My Shepherd. Absolutely loved everything about this book! The setting, plot, characters, and writing were just fabulous. Highly recommend to fans of The Guernsey LIterary and Potato Peel Pie Society as well as to readers of all good fiction. "Its us women in charge now," she said in more of her old cavalier style. "The Chilbury Ladies Choir will rule the world." After the majority of the men leave to fight in the war, the town of Chilbury is left primarily with women. The vicar, believing that the choir will not work without men, disbands it despite the womens objections. That is until a newcomer to town rallies the women together and asembles the Chilbury Ladies Choir, the first women-only choir. While not everyone is in agreement, "It´s us women in charge now," she said in more of her old cavalier style. "The Chilbury Ladies´ Choir will rule the world." After the majority of the men leave to fight in the war, the town of Chilbury is left primarily with women. The vicar, believing that the choir will not work without men, disbands it despite the women´s objections. That is until a newcomer to town rallies the women together and asembles the Chilbury Ladies´ Choir, the first women-only choir. While not everyone is in agreement, these women seek that their singing keeps the morale of the town up. A bit heavy handed and soap opera-ish at times, but enjoyable. The writing is solid and the characters, for the most part, likeable. It follows the lives of several English women, living in a small village in Kent, during the early months of World War II. There is choir practice, intrigue, scandal, secrets, romance, tragedy and a few bombs. No jam making though and only one child evacuee. The ending seemed a bit open, with years of the war left and some unresolved story lines, hinting a 3.5 Stars. It follows the lives of several English women, living in a small village in Kent, during the early months of World War II. There is choir practice, intrigue, scandal, secrets, romance, tragedy and a few bombs. No jam making though and only one child evacuee. The ending seemed a bit open, with years of the war left and some unresolved story lines, hinting at a second book I hope. This book reminded me of the British TV series Home Fires, which I loved. Sadly, it was cancelled. Hello, I'm the author of National Bestseller The Chilbury Ladies' Choir and The Spies of Shilling Lane. Before I began writing, I was a nonfiction book editor with a passion for the Second World War. My warm and cheerful grandmother would tell stories about that era, both funny and fascinating, and the book is based on these. If you have read The Chilbury Ladies' Choir or The Spies of Shilling Lan Hello, I'm the author of National Bestseller The Chilbury Ladies' Choir and The Spies of Shilling Lane. Before I began writing, I was a nonfiction book editor with a passion for the Second World War. My warm and cheerful grandmother would tell stories about that era, both funny and fascinating, and the book is based on these. If you have read The Chilbury Ladies' Choir or The Spies of Shilling Lane, do get in touch and tell me what you think. And please visit my website for free monthly giveaways.